To all of our affected neighbors, we understand that this is a difficult time for many of you. Our local employees and company have been adversely affected too, but we are staying positive about the future. We are ready to help where needed. 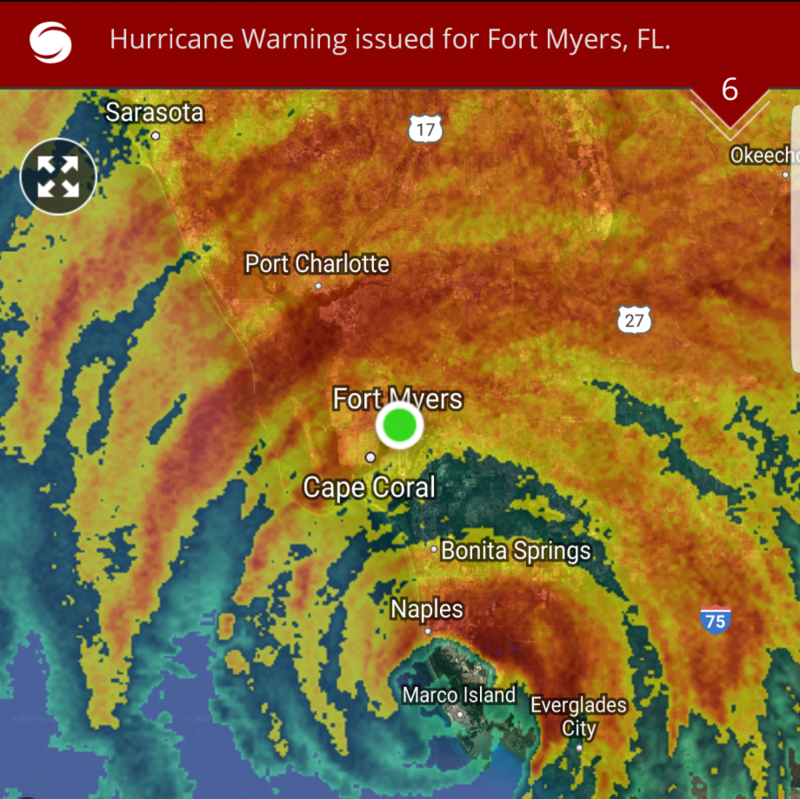 We are pleased to report that there are not widespread or catastrophic reports of solar panel damage across Southwest Florida. That is not to say the industry got away unscathed. Storms of this magnitude pick winners and losers, and some hard hit areas have small pockets of unfortunate solar panel owners. Solar Electricity Systems – We have a handful of reports of isolated panels being plucked from roofs. Usually it is just one or two panels. The attachments are not pulling out of roofs, so there is no leakage issue. The panels are flexing enough to give way and bow out to the point that they come out of their clamps. Fortunately, most systems are microinverter based, so the rest of the system keeps working safely and effectively as soon as utility power is restored. We have no reports of battery backup systems being affected, but these are exceedingly rare due to cost and complexity. Solar Pool Heating Systems – These solar panels are made from flexible polymers (plastics) and generally hold up very well in high winds. Again, we have a handful of reports of lost solar panels. Almost one week after the storm we have three affected customers (out of hundreds). We also have a handful of calls from customers of other dealers/brands. Held down by straps in most cases, it is possible for panels of all brands to come off during exceedingly high wind gusts. Either the tie-down hardware fails or the strap fails and the panel comes off the roof without damaging the roof itself. Interestingly, the plumbing is rarely affected severely if properly anchored, so these issues are resolved easily by replacing affected panels. Solar Water Heating – We do not have any reports yet of affected solar water heaters, but we have recommended against this technology for a long time, so we do not have many customers with water heating systems. In summary, we are seeing an extraordinarily low number of affected solar panel systems given the tens of thousands of homes out there with panels, especially solar pool heaters. We feel badly for those affected, but we are ready to help with our everyday fair service rates. A picture of a competitor’s dislodged solar pool heating panel from Hurricane Irma. 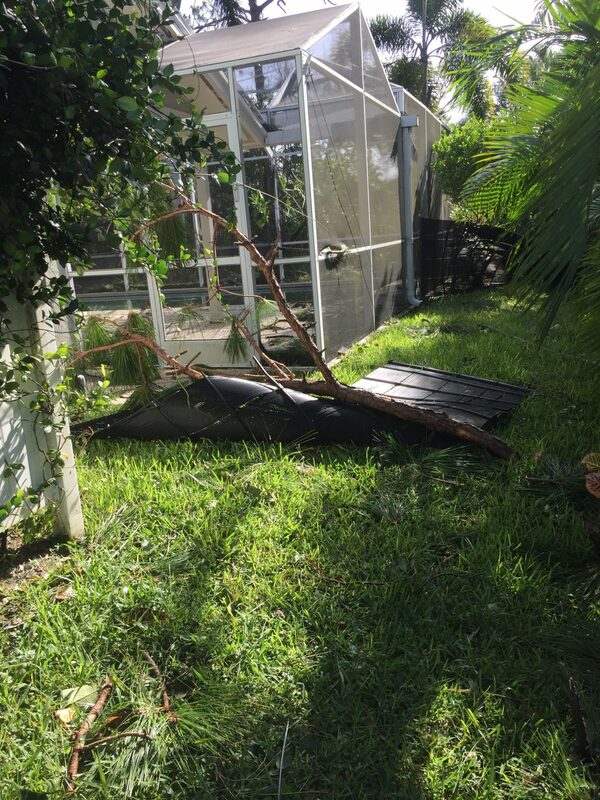 One of the first questions people ask when purchasing a solar pool heater is what happens in a hurricane. Our answer is pretty simple – our systems are engineered to meet the stringent Florida Building Code. Solar panels get installed per engineered drawings and are inspected by the local building department accordingly. So why do some solar panels fail to survive hurricane winds? That’s not an easy answer. Sometimes it is hard to determine the reason for loss after a wind event. There are many reasons this could occur. When solar panels don’t survive hurricanes, you might ask why. Since solar panels are installed to meet building codes that include very high winds, shouldn’t solar panels stay firmly affixed to the roof? In theory, they should, and for the most part they do. But just like roofing materials, windows, and other building features, building codes are not 100% successful in preventing damage. They are standards built on science and experience. First and foremost, we don’t know exactly what wind gusts occurred at your specific location. There are reported sustained winds and wind gust reports from weather stations (if they survive the storm), but that does not indicate micro-climate events at your precise location. Wind gusts could occur that exceed the ultimate design wind speed the Florida Building Code specifies. That’s why you see roofing materials, awnings, windows, and other building features fail, even if built to new codes. There could also be small tornadoes that occur, causing catastrophic winds. Other issues, like Venturi effects when wind passes between buildings, could cause winds greatly exceeding the code-required design specifications. Aging hardware may have become less resistant to breakage. There are solar pool heaters out there over three decades old, greatly exceeding their design lifespans. These systems may not meet current building codes. 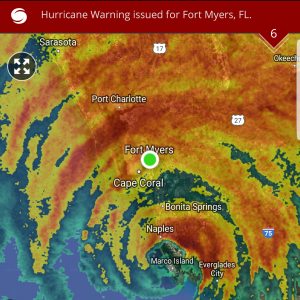 At a certain point, a new system that meets current building codes is advisable, but not a guarantee against hurricane winds. At a certain point, all solar panels will structurally fail if subjected to enough wind pressure. There are test standards for solar panels, and manufacturers clearly want their product to be durable. Ultimately, there is a tradeoff between cost and durability. Solar panels could be built stronger, but at a cost that would make them economically non-viable. No solar panel manufacturer or dealer would be so bold as to cover panels under all circumstances. This falls under the force majeure, or “acts of god” clause of warranties. It’s the same as any other warranty for roofing, windows, or other building products. Just because the product is designed, and in some cases tested to resist hurricane force winds, it does not guarantee that the product will survive. But in most cases solar panels do survive. Standards are there to incorporate best practices and avoid common points of failure. What we do (as a solar contractor and as an industry) usually greatly exceeds the bare minimum, and the results prove that the probability of losing solar panels is very low. It is unlikely that you solar panels will remain attached to your roof and be damaged. Flying debris could cause damage, but this is far less likely than solar panels being damaged from losing their connection to the roof. In the unlikely even that a solar panel is damaged and still in place, simply replacing it should be an easy fix. The more likely scenario is a solar panel comes off the roof or is dislodged from its mounting system. If the solar panel is undamaged, which believe it or not we have found sometimes, it can simply be re-secured in place. If it has been damaged, it will need to be replaced. This may be one or several panels, and possibly all panels in rare circumstances. In some cases, you may need roof work performed by a licensed roofer prior to re-installation of solar panels. In these cases, some or all solar panels may need to be removed prior to roof work. After the roof work is completed, we can come to replace panels as required. If there is extensive or catastrophic damage, it may make more sense to just replace the entire system. If compatible hardware or panels are not available, the only choice may be full replacement. Some unfortunate homeowners may need to file and insurance claim for solar panel and other home damage. Most homeowner’s insurance covers solar panels that are physically connected to your home. Unless you have a specific inclusion, they should be covered. If you had damage that rises to the level of an insurance claim, we are happy to provide a quotation for and equivalent system, regardless what brand you have now. Solar panels largely survived Hurricane Irma. There are isolated incidents of damage, but the percentages are very small. With thousands of solar electricity systems and tens of thousands of solar pool heaters across Florida, we proved that the impacts are minimal. We don’t want to minimize the damage sustained by some people, but just like any other building feature exposed to the elements, there is a small chance that your home could be affected. We are doing all we can to help affected homeowners, maintaining our everyday fair service rates and prices on system installations. My roof is being replaced by my insurance company. I am afraid once they take the solar pool heating panels off, they will not be able to put back on in working condition. Am I covered – it is part of my roof and may I get a quote or some advise on what I should do? Almost all homeowners insurance policies cover solar panels. However you should check with your agent about any exclusions or Riders required for coverage.